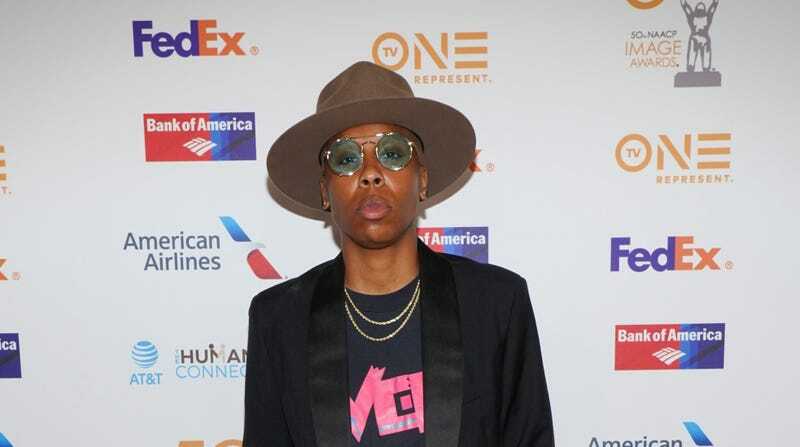 Lena Waithe attends the 50th NAACP Image Awards Non-Televised Dinner on March 29, 2019 in Beverly Hills, California. Lena Waithe, First of Her Name, Queen of The Chi, Breaker of Industry Chains, has landed a new acting gig! The screenwriter, producer and actress will be joining the cast of HBO’s Westworld for its third season. That’s right, she’s already tackled comedy and drama in the television world, might as well add some sci-fi to the plate. Wait, what?! Right. Lena clearly ain’t about that pigeonholed life. Westworld, as created by Jonathan Nolan and Lisa Joy, began production on its third season recently, and it’s not expected to return to air until 2020. The story based on the film written by Michael Crichton is a dark odyssey about the dawn of artificial consciousness and the birth of a new form of life on Earth. It’s a Kilter Films and Bad Robot Production in association with Warner Bros. Television. Westworld is executive produced by J.J. Abrams, Athena Wickham, Richard J. Lewis and Ben Stephenson. Waithe truly showed the audience she could step away from the pen, take off her producer hat for a moment, and take a shot in front of the camera when she co-starred in Netflix’s Master of None (of which, she also has a writing credit that led to her history-making Emmy Award). The 34-year-old industry juggernaut has also guest-starred in hit shows such as This Is Us and Transparent. As far as film, she recently starred in Steven Spielberg’s Ready Player One. In addition to her acting slate, Waithe fans are awaiting big projects of hers, such as an upcoming drama starring Jodie Turner-Smith and Daniel Kaluuya, Queen and Slim and Twenties, a single-camera comedy recently picked up (as a pilot) by TBS.